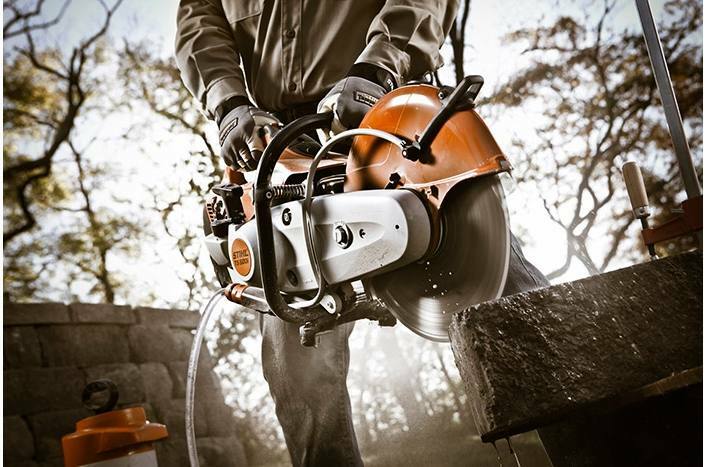 Abrasive cutting just got more cutting edge. 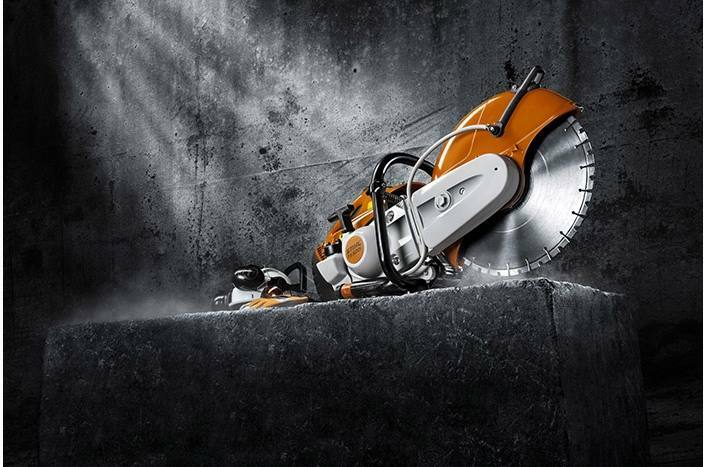 STIHL introduces another industry first with the TS 500i STIHL Cutquik® cut-off machine - the first handheld outdoor power tool to offer an electronically controlled fuel-injection system. This system increases power and performance over 15% while remaining lightweight and well-balanced. The fuel injection system makes starting easier and more reliable by eliminating the choke. Just set the switch to on, prime and pull. 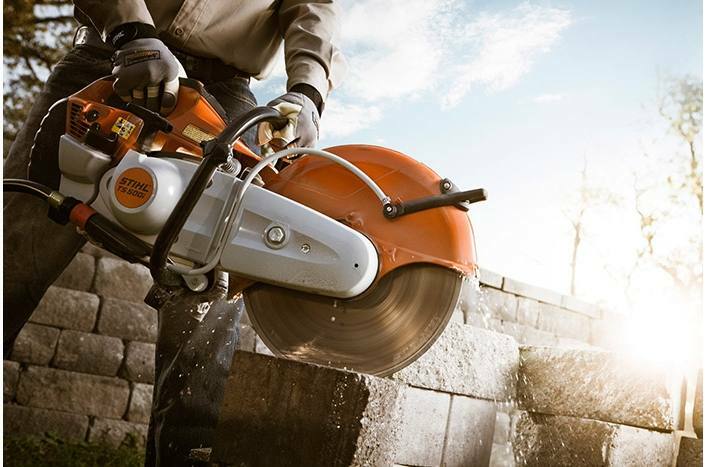 Balanced, lightweight, powerful and fuel-injected, this 14" cut-off machine is designed for superior balance and handling during your toughest jobs. And just like a powerful sports car, you will be impressed with the amazing acceleration of this machine, getting you back to speed faster than you thought possible. 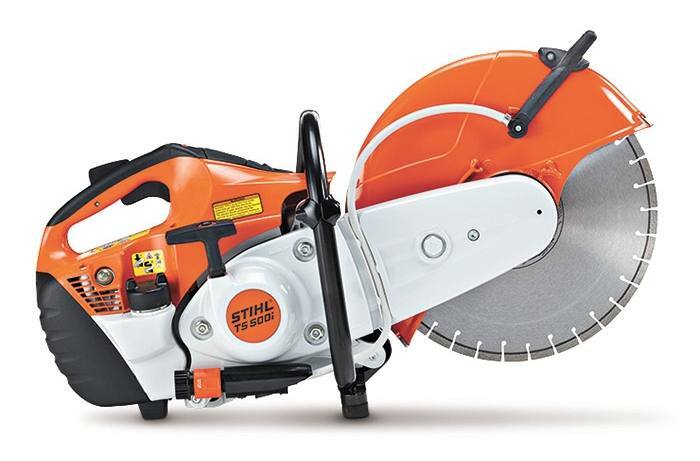 The STIHL TS 500i also features a high-efficiency engine with low exhaust emissions and optimal torque throughout its RPM range. Its Electronic Water Control (EWC) allows for easy water flow adjustment while cutting and its X2 air filtration system maintains an incredible 99.96% cleaning efficiency. 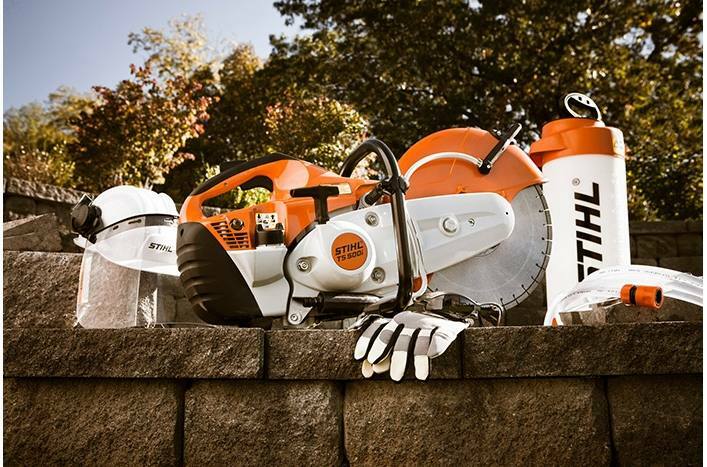 This machine has it all, so very little can stand in your way.